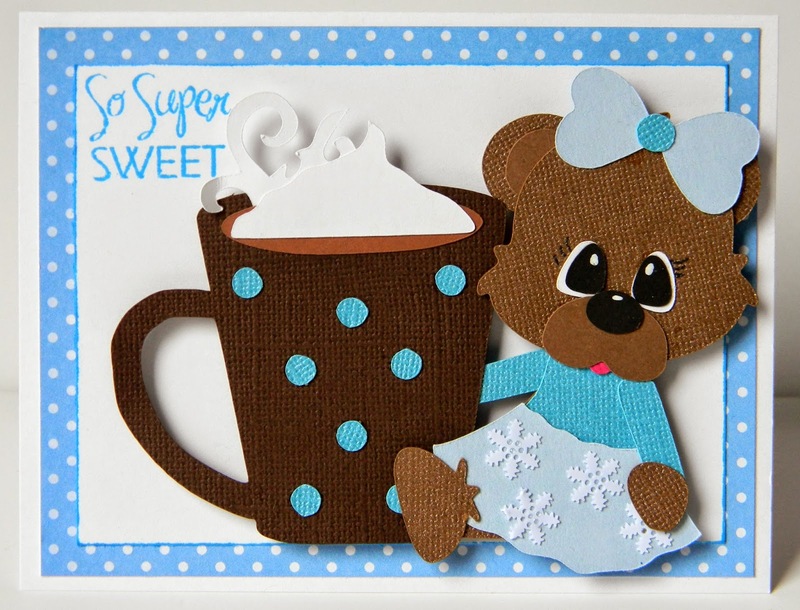 HTB Creations: So Super Sweet! I cut this out at 3 inches for the cup--as you can see, the bear is taller that that :) Since the cut was a good size, I left my card on the plain side. The stamps is from My Pink Stamper and the pattern paper is DCWV. The file has some snowflakes that cut out, but they were a little plain for me. So I added some snowflake sequins to the bear's skirt in place of the cut out ones. Don't miss out on the great Too Cute by Jessica sale going on right now! You can even get a free pattern or two. Check out the website for details.